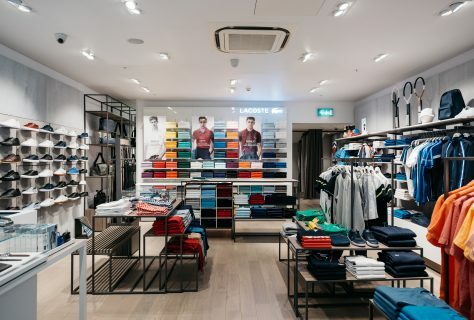 Working in Partnership with Lacoste UK & Global and DesignLSM, Design4Retail were commissioned to implement the latest Lacoste aesthetic to their Boutique in Manchester’s Trafford Centre. We applied the new concept to an existing store installing new furniture, perimeter fixtures and fascia. 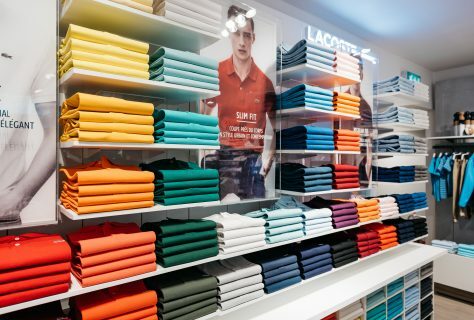 The new store exudes quality and attention to detail which is synonymous with the Lacoste brand. 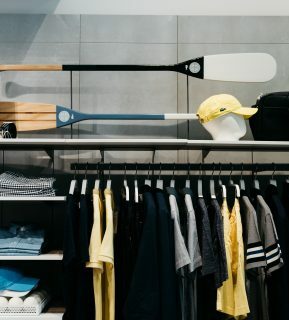 In store product categories were defined via bespoke furniture and premium display cabinets help highlight accessories at point of transaction. 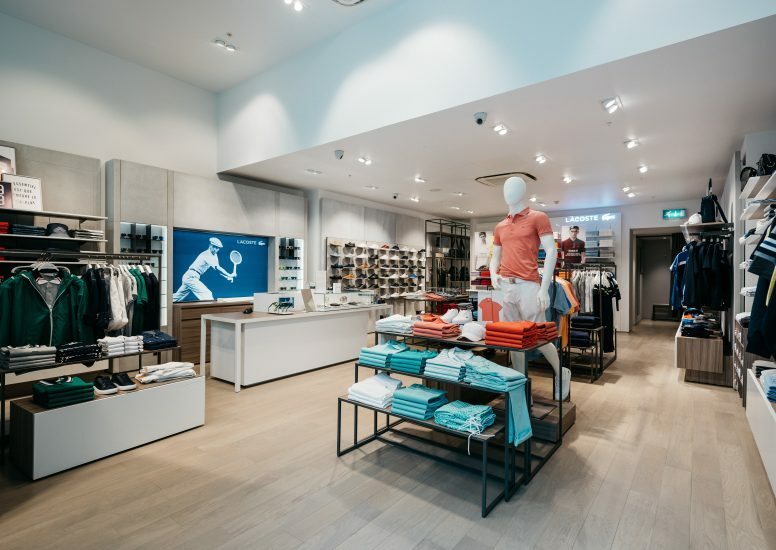 The soft wood and dark metal unitary is complemented by colour from the iconic polo range and acts as a feature at the back of the store. There is a nod to heritage with some simple propping and till graphics. The store exterior features simple illuminated signage as well as an impactful window display showcasing all product types. The large full height entrance gives great visibility into the store. Overall the space is light and open offering a much improved store environment. 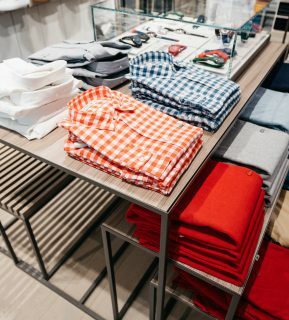 The store enjoyed a successful opening weekend which has far exceeded expectation. 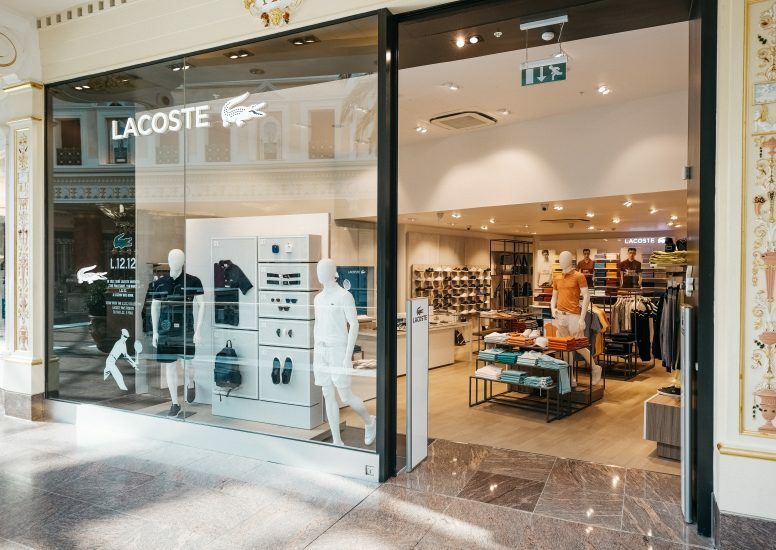 We are looking forward to working with the Lacoste team on rolling this boutique concept out.